Forget what I said before about pacing ourselves when it comes to upcoming pretties. We are just gonna go ahead and switch over our regular programming to All Covers All The Time. And today's reveal is an absolute delight. You all know how I feel about Laura Florand's Amour et Chocolat books, which is to say roughly how I feel about a box of delicate macarons, a cup of rich hot chocolate, and a plane ticket to Paris—put them in my hands. So that's why I was over the moon to hear Laura is launching a whole new series set in Paris and featuring three young women attempting to make their way in the male-dominated world of French haute cuisine. 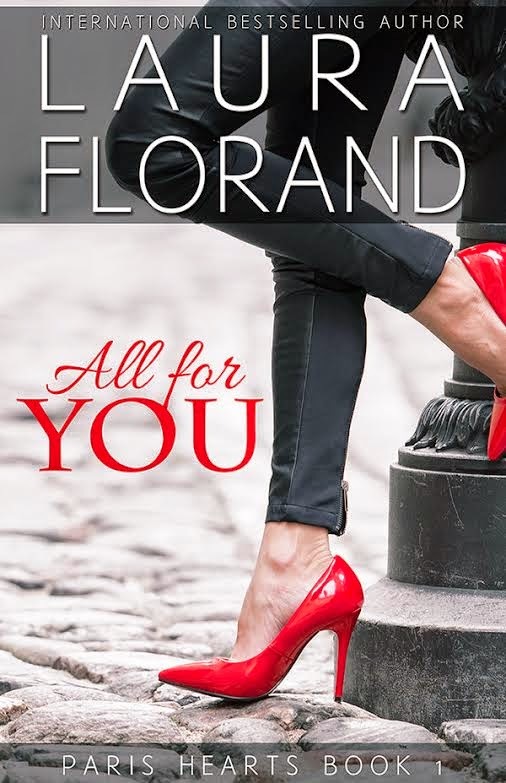 All for You focuses on Célie who was Dom's chef chocolatier in The Chocolate Touch, which thing fills me with glee. Because snippets of Dom!